This event space is located in the middle of central, with the size of 1,010 square feet. 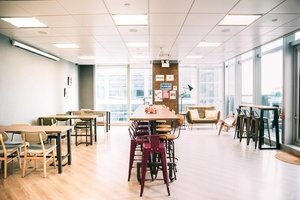 It is now open to corporations which are looking for a venue for corporate events. 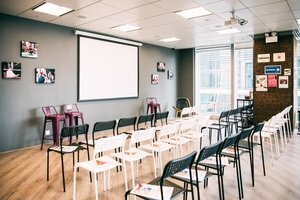 The event space is located on the 9/F of a commercial building, it is definitely a prime location as it is advantageously located near the Central MTR station. Corporations, especially for those which are located in Central, might want to organise events here! It has a modern design, which made use of a lot of wooden furniture, creating a warm yet professional atmosphere. 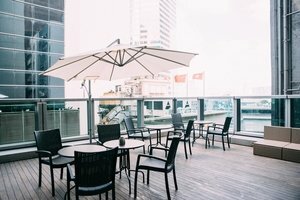 Besides, it has a small terrace area where participants can chill out a bit and enjoy the gorgeous view of Central from above. On the other hand, it is well-equipped wifi box, projector, screen, sound system, microphones, and other equipment necessary for events.